Adding a single word to your blog posts can triple your conversion rates. Words can be really powerful and being able to write good copy for your blogs, emails and sales letters is a skill that will literally pay the bills. Thankfully writing copy is not some mystical voodoo thing reserved for the initiated. It’s actually a quite formulaic skill that can be learned – and you’re already a master persuasion artist! You wanted something from your folks. Maybe you wanted to borrow the car. Or perhaps you wanted to go somewhere that you knew they wouldn’t be thrilled about. Either way, you probably didn’t just come right out and ask for what you wanted, did you? You spent some time in your room, mulling over the right away to convince your folks to your way of thinking. You came up with your arguments. And you thought about the best way to approach the individuals you needed to speak to. See, even at that tender age you already knew quite a bit about persuasion. You knew you needed to construct your request just right in order to get a positive response. And what’s more, you tweaked your message depending on whom you were talking to. Now you can take those same skills, polish them and apply them to your sales materials to create high response ads and letters! Just as when you were a kid and you needed to create a custom-tailored argument, your first step in creating a good sales letter is to get inside your prospects’ heads in order to truly understand what motivates them. Once you do this, you can create a custom-tailored sales letter that speaks directly to their needs, wants and fears. Simple: You need to become a part of your target market – or at least spend some time with your market. For example: If you’re selling to people who live in RVs, then rent an RV and live in an RV park for a week. If you’re selling to golfers, take up golf so that you can talk to other golfers. If you’re selling to college students, spend a lot of time on your local college campus. Now, I realize this isn’t always possible. For example, if you’re a male trying to sell a product to women who do yoga, then you probably can’t join a female-only yoga class. However, you CAN go online and join any number of social networks, forums and blogs to eavesdrop on your target market. Read the archives on these sites. Look for patterns, such as discussion points that come up repeatedly. Take note of which topics (and their associated emotions) create flaming-hot discussions. And, whenever possible, join the discussion and ask your own questions. You see, until you actually become a part of your market (or at least immerse yourself in it), you’re just guessing about what motivates your market. And so any sales letter you create will fall flat. But once you know how to get inside your prospects’ head – and once you know how to stir their emotions – you’ll be well on your way to creating a high response sales letter. Of course that’s just the beginning. Your next step is to take what you know about your prospects and plug it into the proven, time-tested copy writing formula – the same formula the world’s best copywriters use every day to turn out cash pulling sales letters. And now you can get your hands on this formula for free by clicking here now! 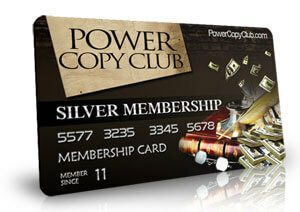 Go here to claim your free Silver Membership at Power Copy Club (normally $27.00) – Just Use This Special Link For Free Access! What is the number one secret tool that almost all pro bloggers and developers use? It’s not a plugin… it’s not a theme… and it’s not some fancy curation software either. What they all have in common is that they run WordPress on a local server for testing and backup purposes. Here at IM Wealth Builders we have been doing the same for years – in fact every single plugin and theme we have ever built, has been developed on localhost first. But using localhost is not just for developers – it’s something all WordPress bloggers can benefit from doing. Essentially using your own development server means running a fully functional version of WordPress on your own computer – offline (ie. not published/live on the internet). Testing if new themes and plugins work with your current setup before messing up your live blogs. The problem is that running WordPress on a local server is a very difficult and time consuming thing to set up – previously it has been reserved for the real tech heads and developers. It shows you step-by-step how you can start using localhost for WordPress today and all the ways you can benefit from it – and it does so using free resources. It’s geared to help you transform the way you build, test and repair WordPress sites faster than normally possible. If like me you find WordPress development slow then you should take a look this. Matt doesn’t release many products, the last 3 have all been top sellers – I have no doubt this one will be too. We highly recommend WP Simulator – so click on the banner below to have a look and grab a copy for yourself, before the price goes up. In my last post “How To Get Quality Blog Content Without Writing A Single Word” – I was talking about our Covert Social Press theme. One of the key features in the theme is that you can have real members join your site. It’s first and foremost a social bookmarking theme, but you could say that it has a membership site component too. When most marketers decide to start selling information products online, they usually start selling ebooks. But did you know that you can offer the same information in a slightly different format and actually make more money? It’s true. And that’s exactly what you’ll learn how to do in this article. Let’s consider for a moment the different ways you can deliver content. We’ll focus mainly on the online methods, although you certainly can deliver physical products such as books and home study courses and live events such as webinars. * Ebooks and reports. Almost everyone who sells information online offers ebooks and reports. Usually, these are low-priced ($50 or less) and sometimes free. It’s a great choice for entry-level products to pull people into your sales funnel. * Audios. Audio interviews and audio ebooks have a slightly higher perceived value. That means you can take the same information as an ebook, turn it into an audio and charge a higher price. * Videos. Videos are the next step up, meaning you can take the same information as offered in an ebook or audio, turn it into a video and people will consider it to be worth more. Naturally, that means you can charge more. * Membership sites. The perceived value of a membership site largely depends on what you’re offering inside. For example, an ebook-only membership site is going to have a lower perceived value than a site that includes videos. Now, you may want to incorporate all four of these products into your sales funnel. For example: You can use your ebooks as entry-level products, your audios and videos as intermediate products, and your membership sites for your expert-level products. Just skip all the other products and get people directly into your membership site. Indeed, you can use your membership site as a sales funnel. That means you can offer free “bronze” memberships and then upgrade your free members to paid memberships. If you’ve spent any time studying membership site marketing before, then you already know just how profitable it can be. In fact, I bet you’ve even crunched the numbers before. For example, if you get just 1000 members paying you $17 a month, you pull in a cool $17,000 every month. Well – close but not quite. You’d pull in $17,000 every month only IF you can keep all 1000 of those members… or if you can rapidly replace the members who are constantly quitting the site. Most marketers can’t do that. And so their sites eventually just make a couple hundred dollars a month. You see, that’s because most membership site marketers don’t consider the churn rate (that’s the number of people who’ll drop out of your site every month). Truth is, most customers who are paying a monthly fee in a recurring membership site cancel after just three, four or maybe five months (if you’re lucky). And so you need to work hard all year around just to keep your membership numbers up. Now before you toss out the idea of running a membership site, let me tell you that there is an easier and FAR more profitable way to do it. And best of all, it’s easy to get members because you don’t even have to sell anything on the front end. Sound a little too good to be true? It’s not. And if you act right now, you can get all the details for free. Go here to claim your free Silver Membership at Membership Marketers Club (normally $27.00) – Just Use This Special Link For Free Access! 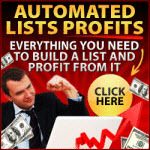 … and discover how you can triple YOUR membership site profits!